The A Man, A Can, A Plan books by David Joachim are a series of man-themed cookbooks that involve canned goods, minimal effort and quick results. 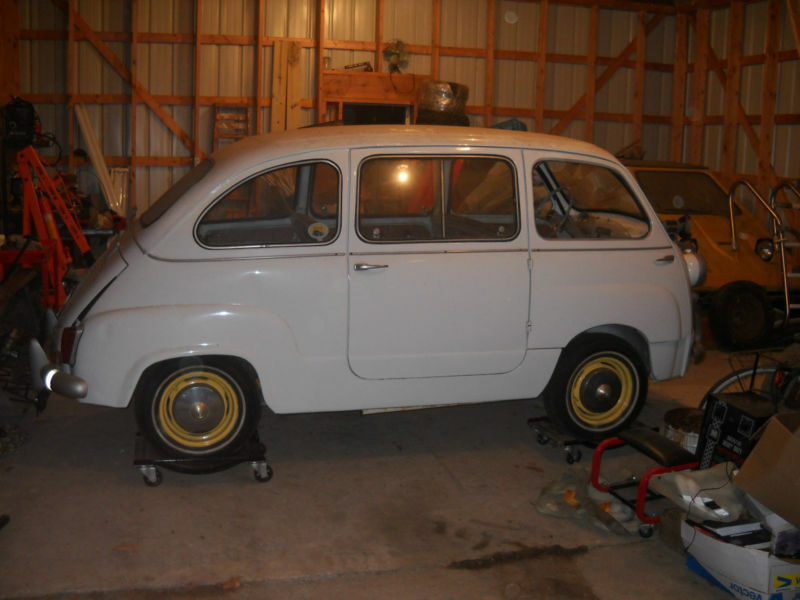 We would like to think that you can approach car restoration with similar approach involving a man, a van and a plan...find your van here; This 1960 Fiat 600 Multipla is for sale in Forest City, PA and currently bidding for $4,300 reserve-not-met on ebay. The Seicento was a city car built by Fiat from 1955-1969, but the Multipla Van was a 6 passenger version that puts all modern minivans to shame with its economy of space and style. 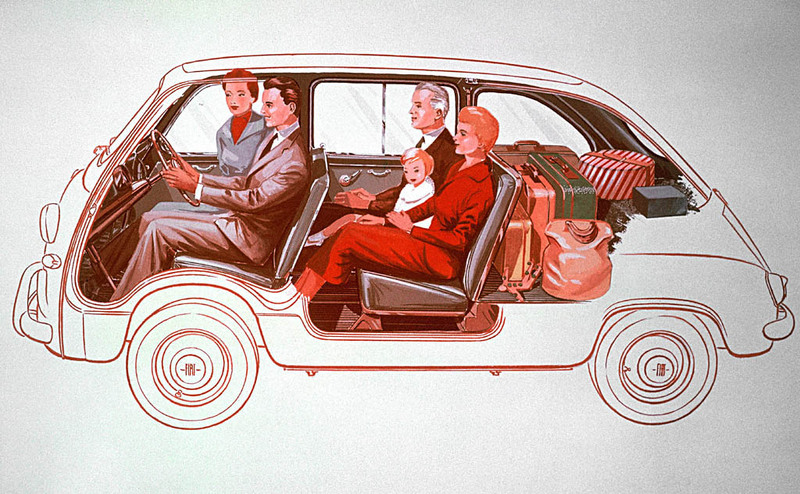 The Multipla can be considered the grand-daddy of the modern MPV and it used its rear engined setup to pack people and stuff inside like no other vehicle of its time. The driver was positioned on top of the front axle and the final row of passengers (or baggage) sat atop the engine/transmission. The wide rear doors give plenty of room access for grandparents and an unsecured child or two. This one will require some effort before you can take the in-laws out to dinner. The Fiat 600 is powered by a watercooled 600 cc engine that produced 21 horsepower and will get the 1500 lb Multipla up to a top speed of 57.1 mph. Zero to 50 mph is absolutely obliterated in 43 seconds...0-60 mph can be listed as N/A. 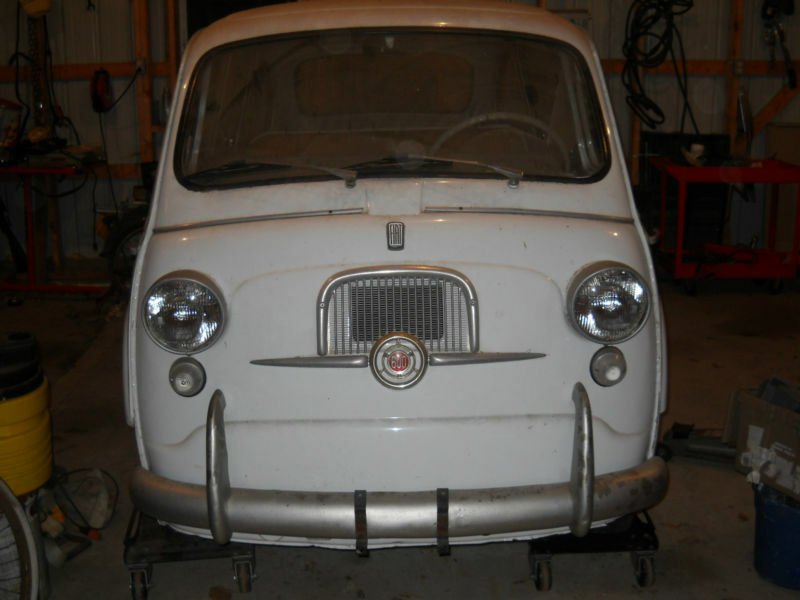 The front fascia of the Multipla is classic Fiat cute; it just makes you want to smile! 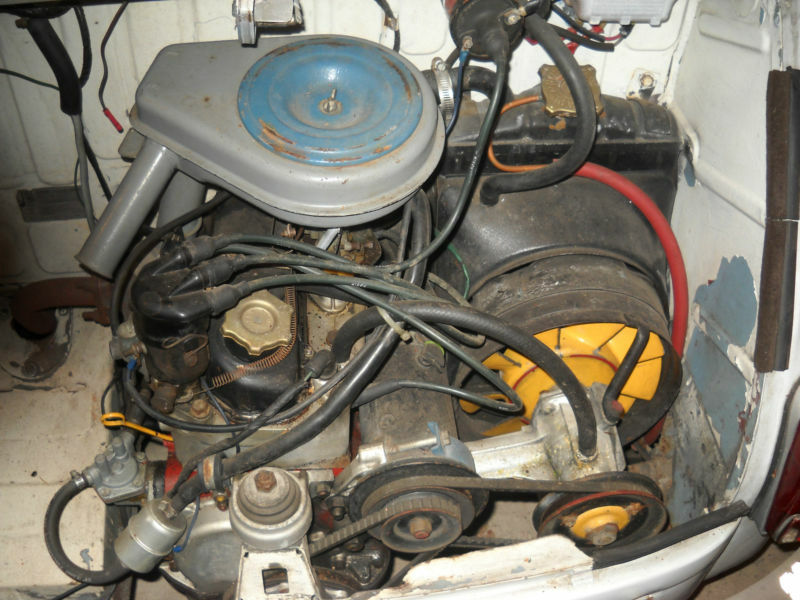 What won't make you smile is the seller's description of the fuel-spraying carburetor, spongy brake pedal and locked up wheel cylinders. It is quite a project, but fully restored these can command serious money. ~ what a sweet ride! with this Fiat, a blanket, a P-51 can opener, a JCWhitney hot-shot, and a copy of 'A Man, A Can, A Plan' i could survive for weeks in my garage slash commodity-storage slash NASCAR media room.